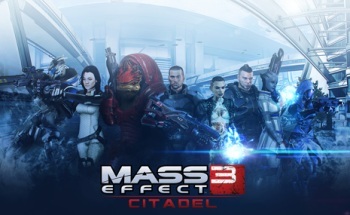 The surprisingly beefy Mass Effect 3: Citadel soundtrack is now available as a free download. And we're not talking about just four or five remixes here. The Mass Effect 3: Citadel soundtrack features 20 brand new tracks by Sam Hulick, Cris Velasco and Sascha Dikiciyan, who "came together to compose an emotional and powerful score for this personal journey." The Citadel soundtrack is available as a direct, DRM-free download from the BioWare Social Network - just download it, unzip it and fire it up with your media player of choice. This is a seriously solid move by BioWare, and given how good the Mass Effect score has been across the entirety of the franchise, it's one freebie that no fan of videogame music should pass up.